The objectives of this video are to list the conditions that may present as acute pain after working hours; describe the sonographic signs and features of the presenting disease; and describe the differential diagnosis and sonographic features that help in diagnosis. Specifically, this video covers acute pain in the scrotum, right lower quadrant, right upper quadrant, and pelvis. The AIUM designates this enduring material for a maximum of 1.25 AMA PRA Category 1 Credit™. Physicians should claim only the credit commensurate with the extent of their participation in the activity. Credits accepted by the ARDMS and as ARRT Category A Credits. 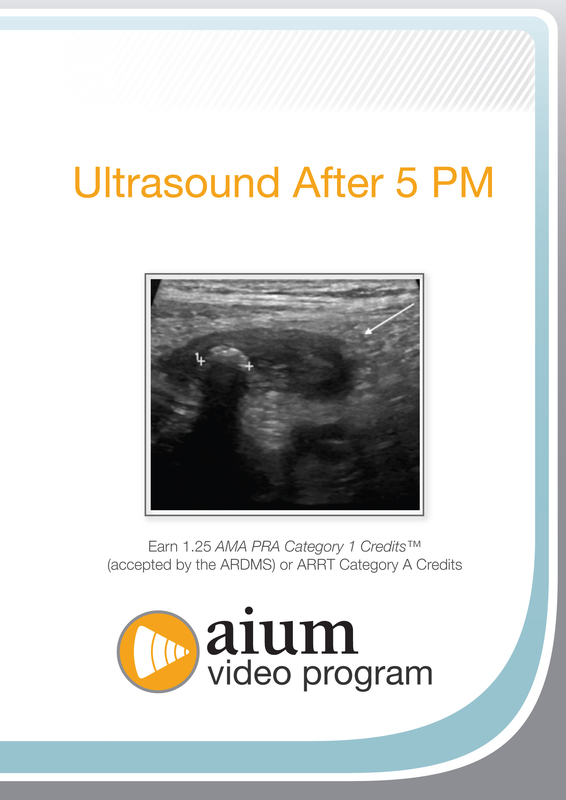 CME credit for this video program is available through August 31, 2019. This video is delivered on an external jump drive. It is also available for purchase as streaming video. The online CME test is $10 for AIUM members, $70 for nonmember physicians, and $35 for nonmember sonographers and nonphysicians.